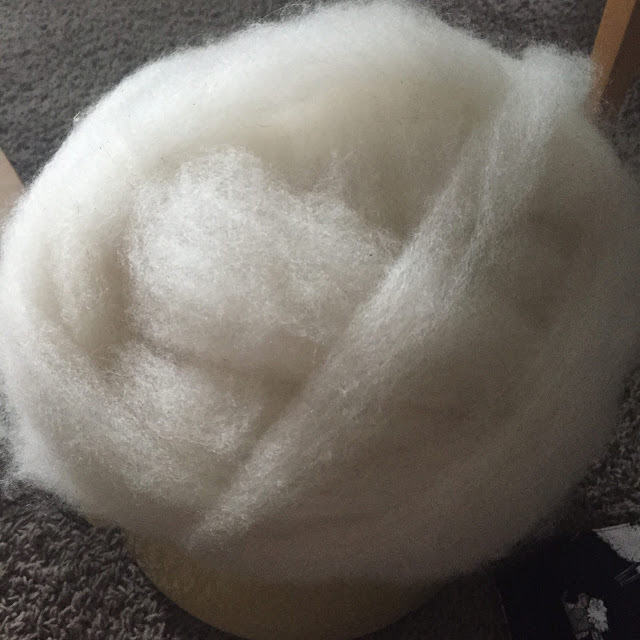 The Tour De Fleece has come to an end-three weeks of spinning almost every day. It is a great time to use up that wool stash. Delaney's angora rabbit died unexpectedly a couple of months ago. 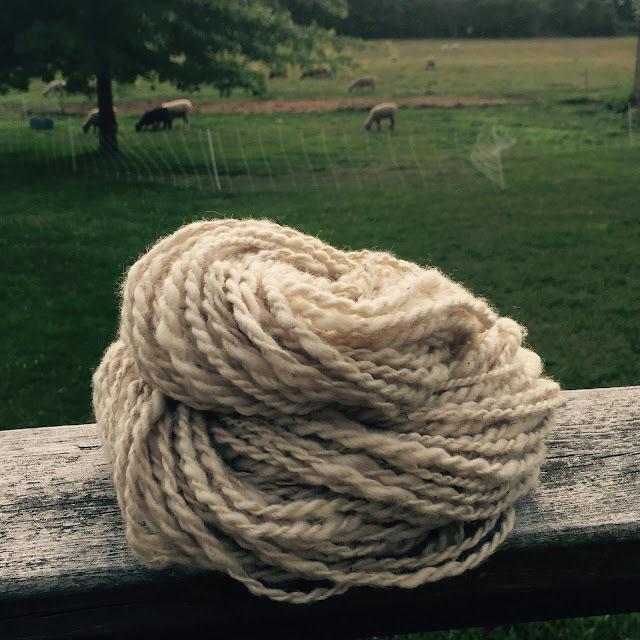 We had some of her wool saved up from the past year. I blended it with some Bluefaced Leicester. 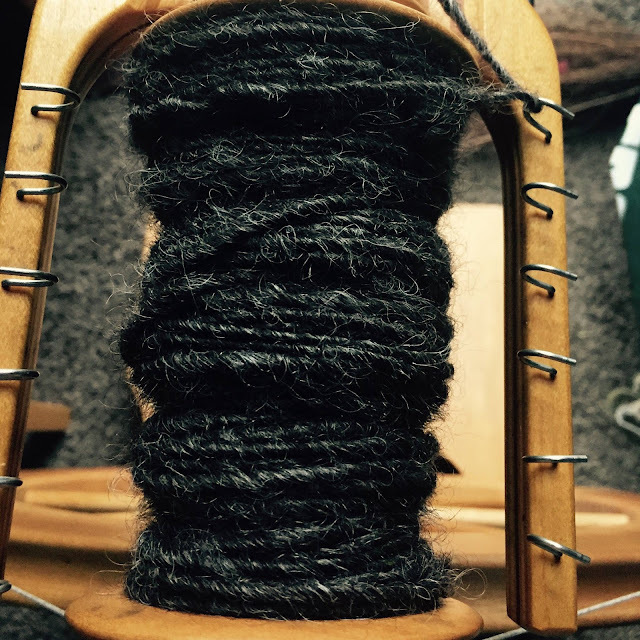 It was a little bit of a challenge to spin with the added Angora. I plan on using the yarn to knit up something for Delaney, so she has something made, from the wool, of her beloved bunny. and there was quite a bit of VM in her fleece. I love the color, as I don't get many brown fleeces from the sheep. It was worth the extra work, picking out pieces of hay. 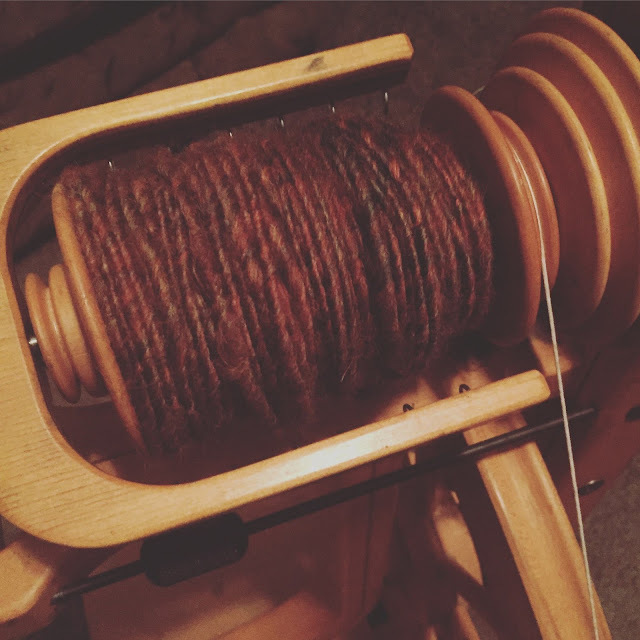 The Bluefaced Leicester was a fun spin. What color to dye it? 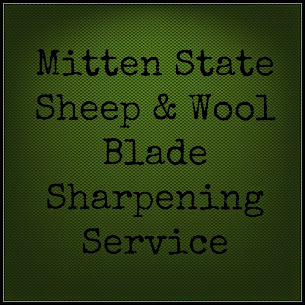 that I picked up at the Wooster Ohio fiber show. It has been so hot here, there was only one day of outdoor spinning. in front of a fan or air conditioner. Nice job! Only one day outside here as well. Thank goodness for AC! 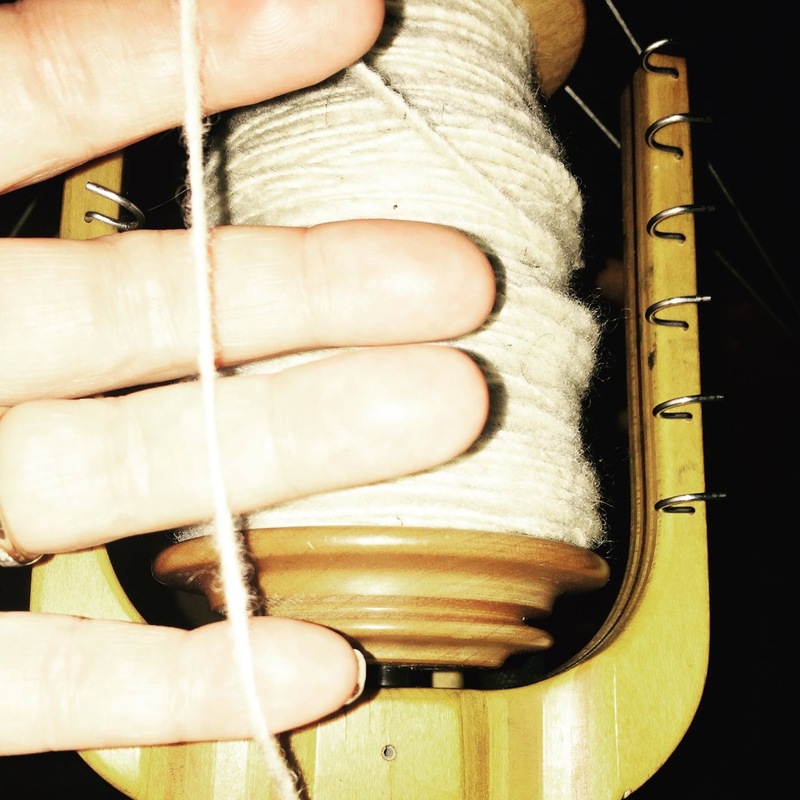 I am so excited I just got a spinning wheel and I am learning to spin. Something I have wanted to do for forever. Going to have to go through and read all of your spinning post. 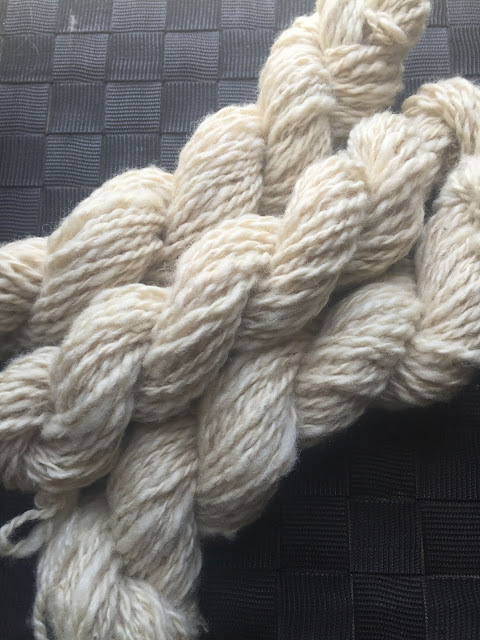 Loved seeing your handspun and the wheel. It's been dreadfully hot here in Tenn. The hottest summer in years, if not ever. Have a great week! 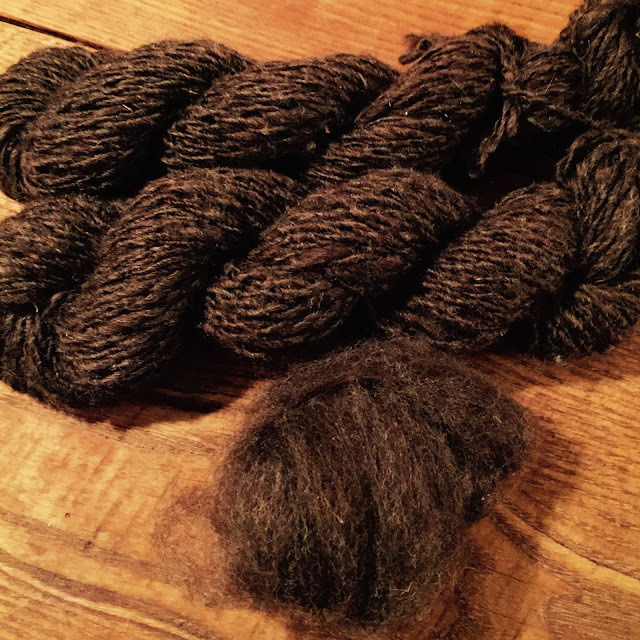 The brown fleece is my favorite - so beautiful!